You are not like any other girl, so why look like any other bride? 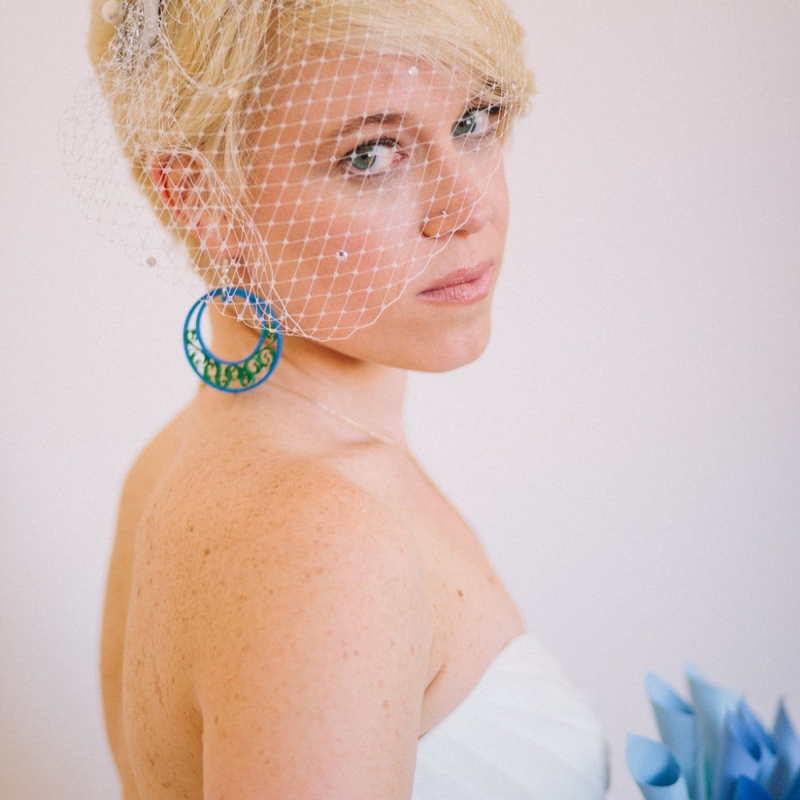 March to the beat of your own drum as you march down the aisle in these sensational paper filigree earrings. 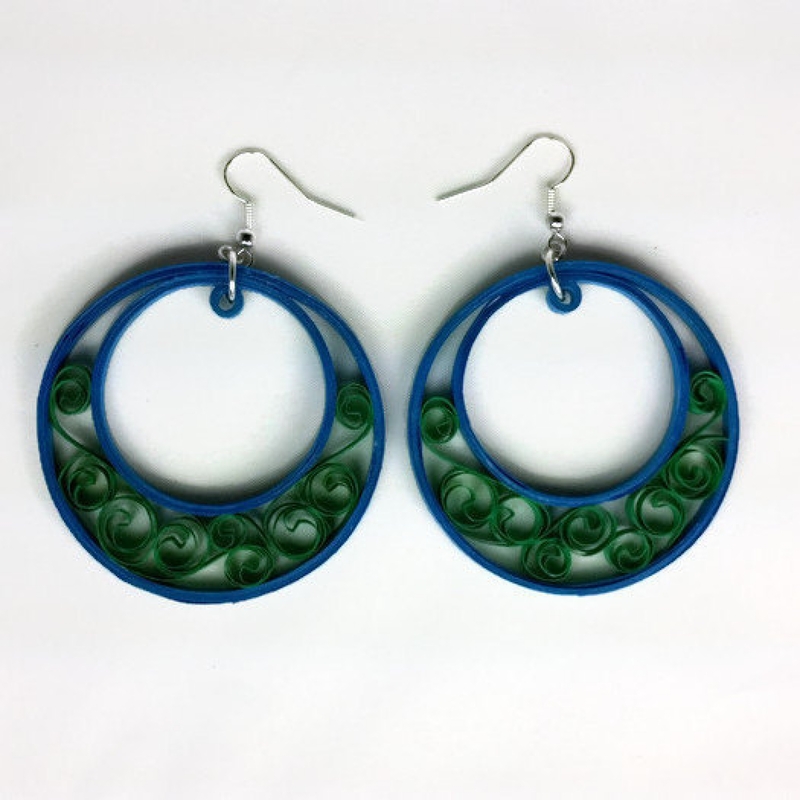 They are made from 1/8" thick quilling paper in your choice of colors. The hoops boast beehive style filigree in a half moon shape, surrounded by a circular border. They are coated in a sealant which makes them water resistant and UV resistant. They are super lightweight. Plastic safety backs are included. Each pair will arrive safely packaged in a box with a ribbon and optional gift tag, perfect for giving to your bridesmaids. Can be converted to clip-on earrings for un-pierced ears or to ultra hypoallergenic niobium hooks for sensitive ears. Sterling silver hooks also available. 1) interior filigree color AND 2) border color. 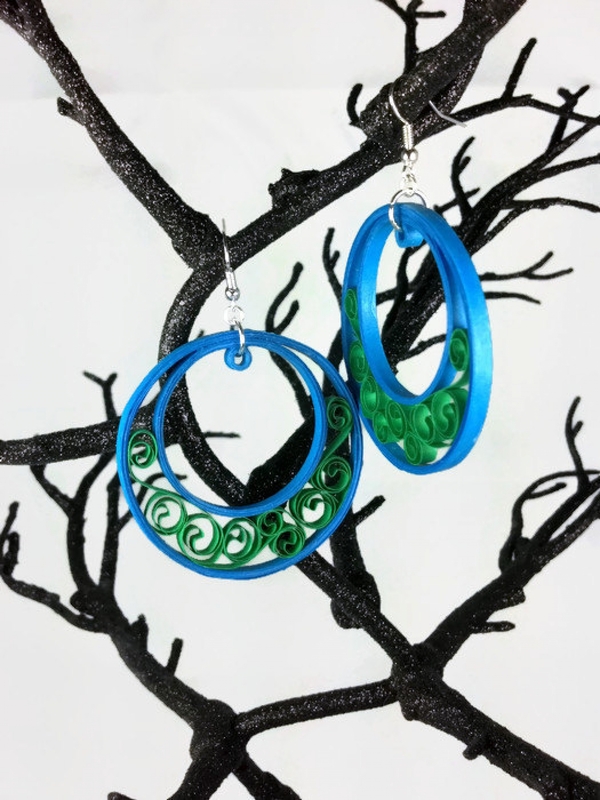 These earrings will be handmade to order in any color combination to match your wedding colors. I have over 90 colors available, including metallics. I am happy to send you photos of specific colors upon request.